Facial wash is not just women's skin care essential but also men's. Men's skin is also prone to pimples, blackheads, and other skin problems like those of women's. While it may appear as being vain affecting their masculinity, the truth is men need to take care of their skin, too. Here are the top rated and best selling facial wash specially formulated for men's skin on Amazon. This face wash from Dove is dermatologist-tested to provide a refreshing and deep cleanse. It has a rich lather which simultaneously cleans hydrate dry skin. It is odorless which some users like and some don't but most say that its thick and creamy texture is very easy to wash off. Most users also reported that their face feels moisturized every after use. A user of this face wash says the following: "My face feels great after using it... smooth and clean. What else can I say? It is a great product. It has not caused any irritation or anything, so I give it 5 stars and recommend it." This moisturizing face wash has an effective cleansing gel formula combined with menthol Vitamin E which deeply cleans while removing the dirt and excess oil. It conditions the skin and users say that their skin feels softer and refreshed. 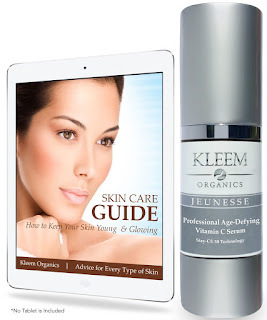 Most users report that their overall skin health has also improved. One user reports: "This is a great product, providing a great cleansing of the skin and leaves a long-lasting healthy skin feeling. Definitely worth using on a regular basis. I love it." Neutrogena Men Invigorating Face Wash lives up to its name. Users report that it deeply cleans and invigorates skin for a fresh feeling. Skin does not feel tight but feels moisturized. Its cooling foam gets into the pores deeply and users report that this oil-free formula also minimize pores. A user says that "This product is really great. I, like most guys, decided to start working on my acne much later than my teens, when I realized how easy it is to take care of it rather than ignoring the problem. I got a recommendation from one of my boys on using this wash, and in addition to helping with my adult acne, he said it would also help with my razor bumps if I kept my skin clean." This facial cleanser is also a toner which removes dirt and oil. It gently cleans the skin for a smooth and shave-ready skin. It does not over-dry the face. It has witch hazel which acts as an antioxidant and astringent. It is suitable for all skin types and is highly recommended for normal to oily skin. A user reports that "This stuff is great. Consistently cleaning with it 2x a day has cleared up the random acne I was experiencing and it definitely improves my shaves if I wash with it right before shaving. I keep a bottle in my gym bag and another one at home so I'm never without." This product is highly suggested for use as a pre-shave treatment to smoothen the skin and prepare it for a good shave. It comes with a sweet scent which users think is appealing. This face wash contains algae extract that leaves the skin smooth and healthy-looking. A user says that "This cleanser is really gentle on your skin and has a mild, refreshing fragrance. Leaves your face feeling clean but not overly dry like some other products tend to. I'm a fan of Anthony Logistics products and this one doesn't disappoint." Skin, regardless of gender, needs regular cleansing. So if you're a man and using facial cleansers is not a part of your skin care regimen yet, make a wise decision by choosing one of these facial wash products to use each time your face needs cleansing. Over time, you'll be glad you did.